Irish Media: A Critical History maps the landscape of media in Ireland from the foundation of the modern state in 1922 to the present. 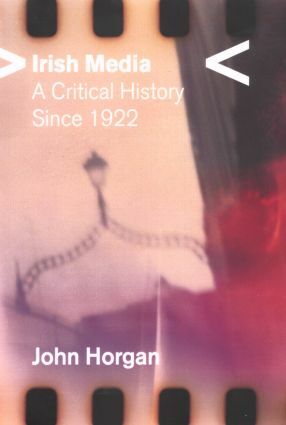 Covering all principal media forms, print and electronic, in the Republic and in Northern Ireland, John Horgan shows how Irish history and politics have shaped the media of Ireland and, in turn, have been shaped by them. Beginning in a country ravaged by civil war, it traces the complexities of wartime censorship and details the history of media technology, from the development of radio to the inauguration of television in the 1950s and 1960s. It covers the birth, development and - sometimes - the death of major Irish media during this period, examining the reasons for failure and success, and government attempts to regulate and respond to change. Finally, it addresses questions of media globalisation, ownership and control, and looks at issues of key significance for the future. Horgan demonstrates why, in a country whose political divisions and economic development have given it a place on the world stage out of all proportion to its size, the media have been and remain key players in Irish history. John Horgan is Professor of Journalism at Dublin City University, and the author of a number of acclaimed political biographies, notably Sean Lemass (1997) and Noel Browne (2000).